Karunya University Entrance Exam (KEE) 2018 will be conducted from 27 to 29 April, for admission to 13 B.Tech courses offered by the university. The application form of KEE has started from 11 December 2018. Candidates who have successfully filled and submitted the application form can download KEE admit card 2018. The Karunya University Entrance Exam (KEE) will be organized in 79 exam centres across India. The exam will be conducted in the computer-based mode containing 100 questions, which will contain 100 marks. Only 2 hours 30 minutes will be allotted to complete Karunya University Entrance Exam 2018. After the exam will be conducted, the result of KEE 2018 will be declared in the third week of May. Candidates who will qualify the entrance test will be included in the rank list. On the basis of the merit list, aspirants will be called for KEE counselling 2018. The counselling will be done on the basis of rank position, preferences of courses and seats available. For more information on KEE 2018, important dates, admit card, exam pattern, syllabus, result, read the article below. Academic Qualification - For all B. Tech courses - (Except Biotechnology, Food Processing, and Engineering): Candidates who have passed Class 12 Exam or any equivalent qualifying examination from any recognized Board or CBSE/ICSE in the first attempt with minimum 50% aggregate marks in Mathematics, Physics, and Chemistry. Candidates who are appearing in Class 12 Board Exam in March/April 2018 can also apply but their admission will be provisional. Candidates who have passed Class 12 Exam or any equivalent qualifying examination from any recognized Board or CBSE/ICSE in the first attempt with minimum 50% aggregate marks in Mathematics, Physics, and Chemistry. Candidates who have passed Class 12 Exam or any equivalent qualifying examination from any recognized Board or CBSE/ICSE in the first attempt with minimum 50% aggregate marks in Physics, Chemistry and Biology / Zoology/ Botany/ Computer Science. The candidate then has to fill the OMR sheet and post it to Karunya University or they can submit the online application using the pin mailer (available with the hard copy of application). In case the candidate has not submitted the KEE 2018 Application form on or before the due date, Karunya University will also conduct spot registration in April 2018, in any one of the entrance examination centres one day before the examination. Candidates can apply online by filling the DD details in the application form. 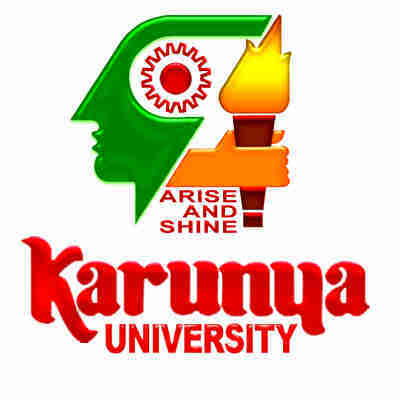 Candidates should draw the DD in favor of ‘The Registrar, Karunya University’ payable at Coimbatore. The Admission will be solely done on the basis of KEE 2018 followed by Single Window Counselling. KEE 2018 Result will be declared in the third week of May. There will be Single Window Counseling will be conducted during May 2018 at Karunya University Campus. KEE 2018 exam contains objective type question paper in English, in which questions will be covered from +2/HSC level. This is Paper and Pencil Based Examination. Candidates are advised to being sharp HB pencil(s), eraser, sharpener and black ballpoint pen to the Examination Hall. Medium of Exam: The question paper will be in English. Marking scheme: Each correct answer carries one mark. Negative Marking: There is a negative marking of 0.25 for every wrong answer. *Christian Values for Christian candidates & General Ethics for Non-Christian candidates.